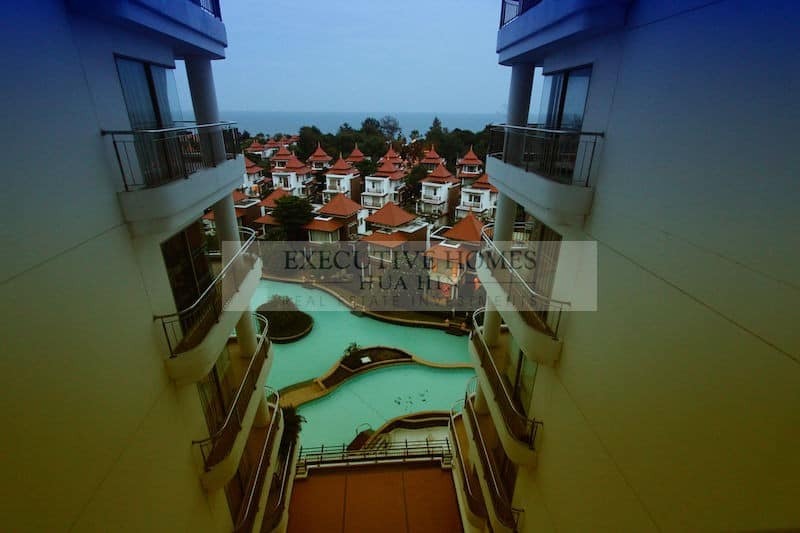 This 2 bedroom, 2 bathroom condo for sale is located on the 3rd floor with beautiful views of the tropical gardens and massive canal-style swimming pools which twist and wind through the entire development. 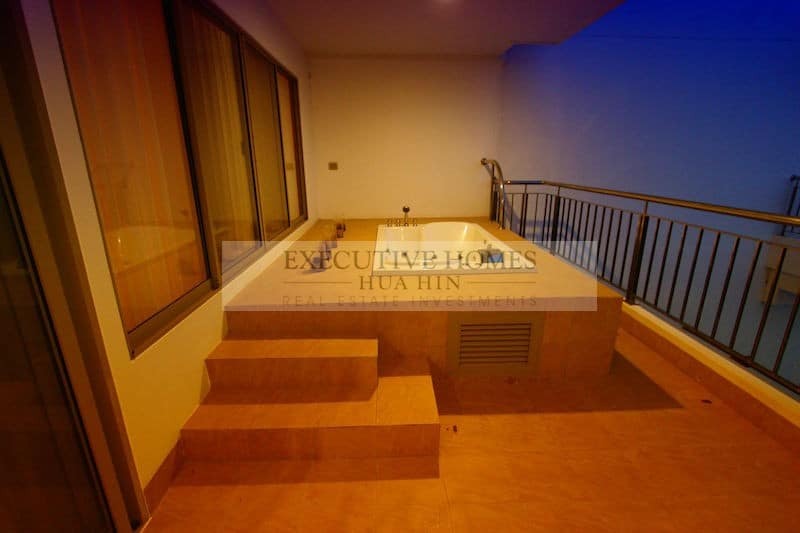 There is a large balcony directly off the living room which captures the constant sea breezes, complete with outdoor furniture, Jacuzzi tub, & perfect for relaxing and enjoying the cool evenings along the Hua Hin beaches. 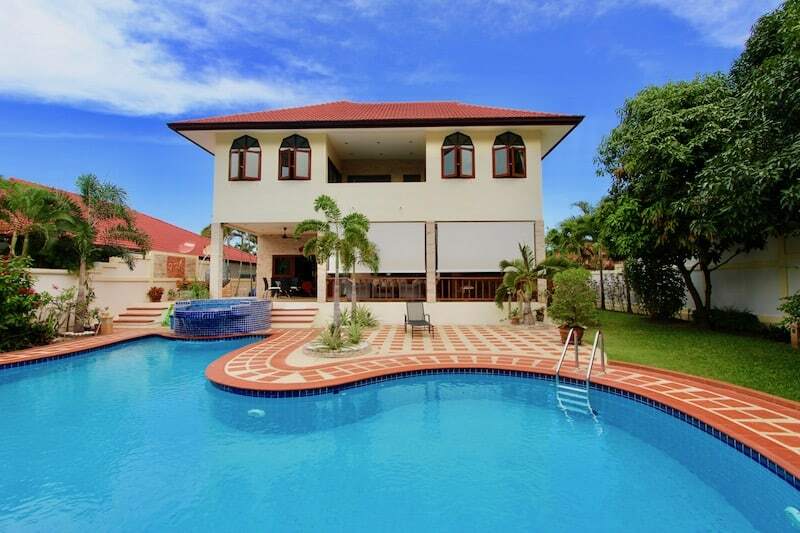 There are wood floors throughout, maintained well; there is a European standard kitchen with high quality appliances and plenty of storage and counter space. 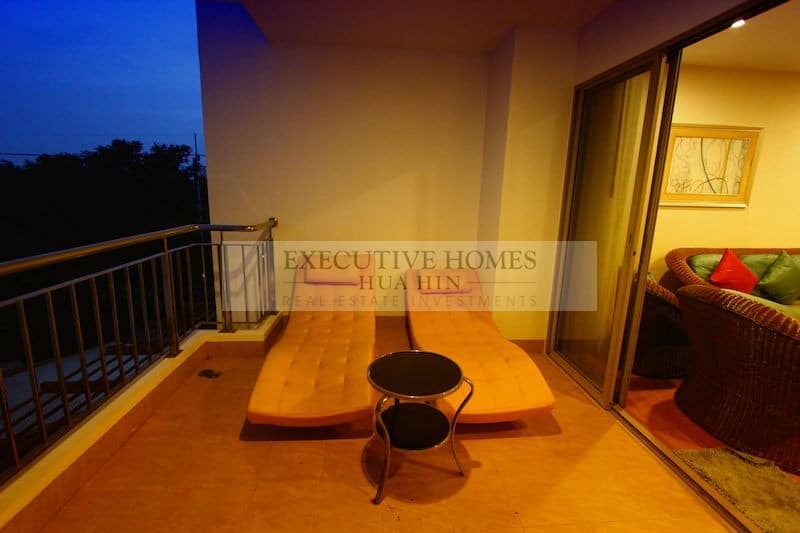 The master bedroom has an en suite bathroom, as well as a small balcony with sliding doors, perfect for air flow and appreciating the views. 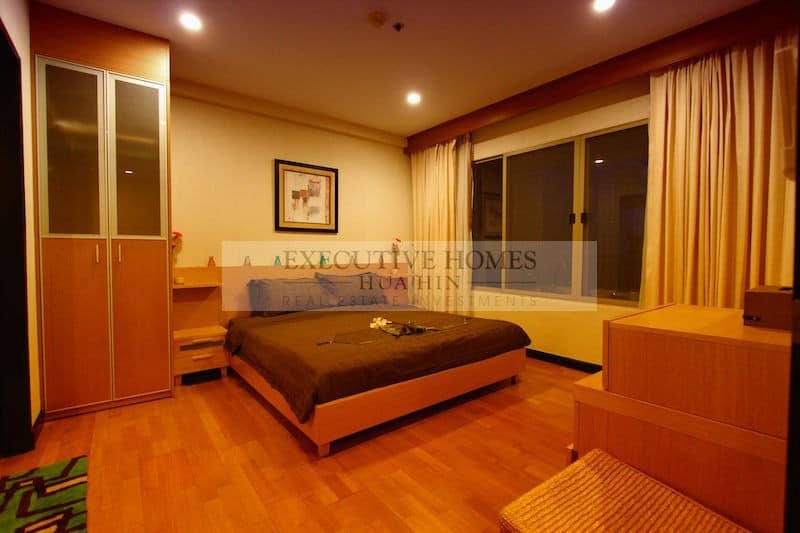 Both bedrooms have beds with very high quality mattresses, wardrobes and desks with chairs. 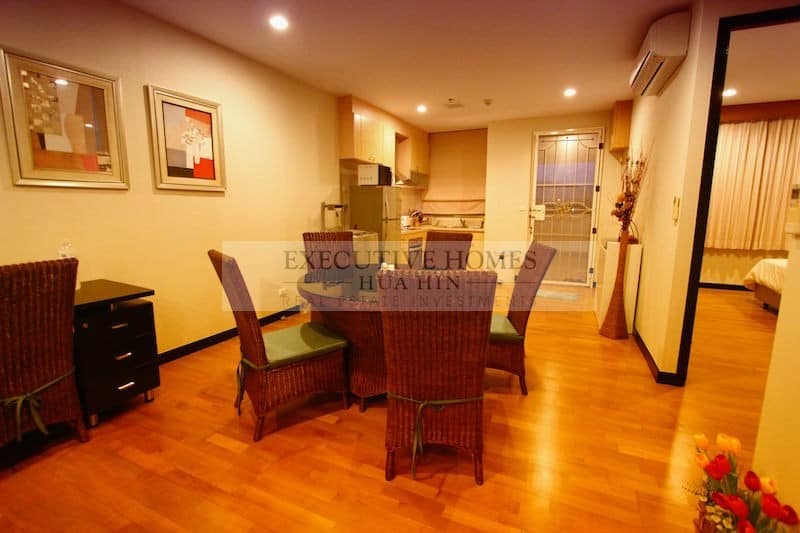 The unit is sold fully furnished with high quality furnishings throughout. 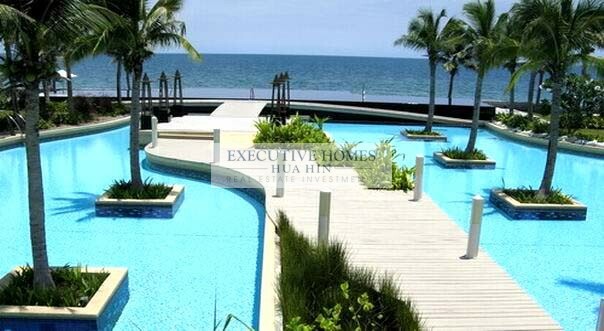 The building has a large community pool, and there is a special pool available for residents’ enjoyment that meanders through the entire project to arrive directly on the beach. 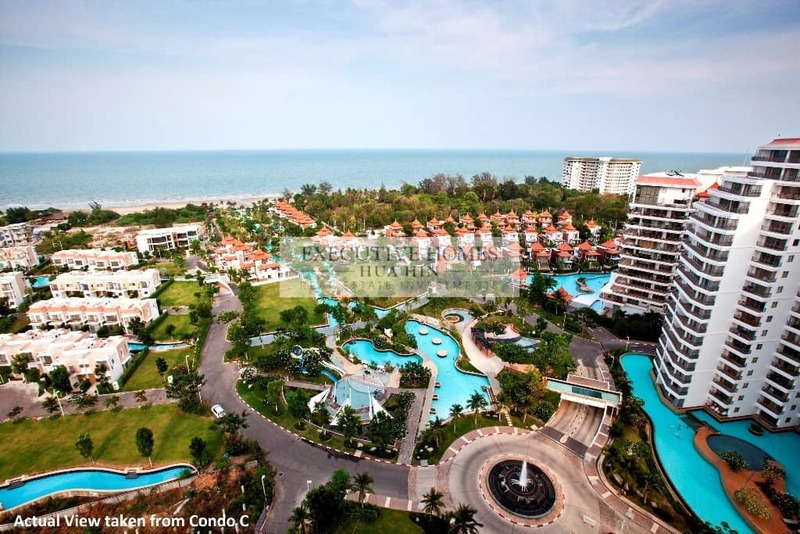 There is direct beach access from the development, as well as a fitness center, children’s play area, and 24 hour security. 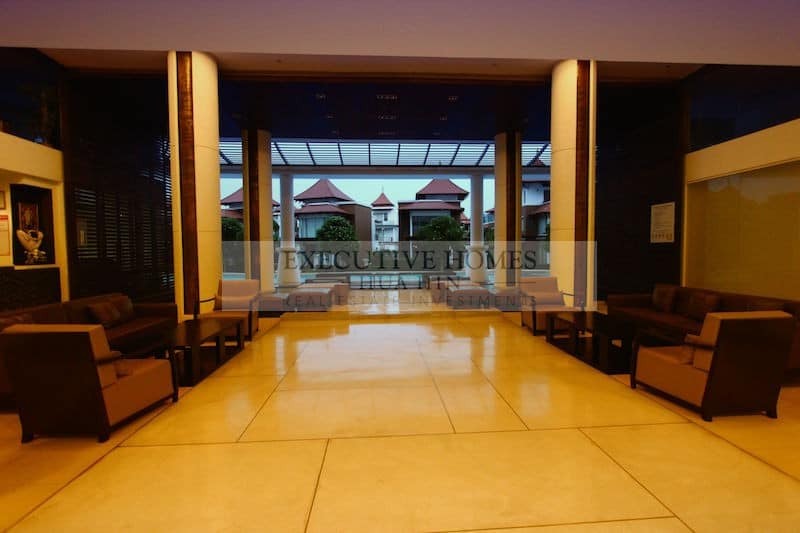 The building has a lovely sitting area, a well-managed juristic office and beautiful communal gardens. 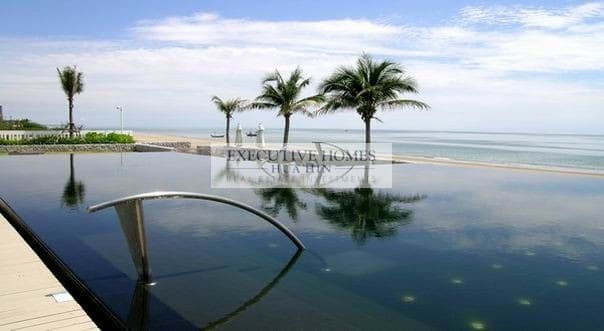 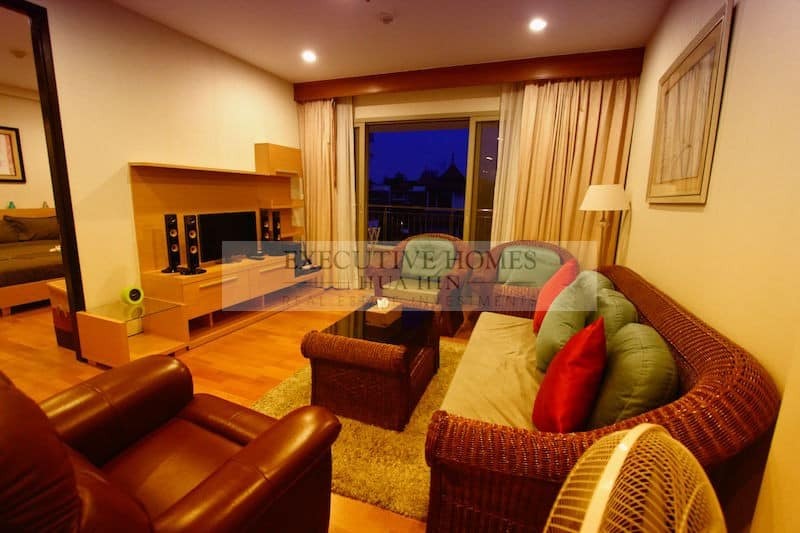 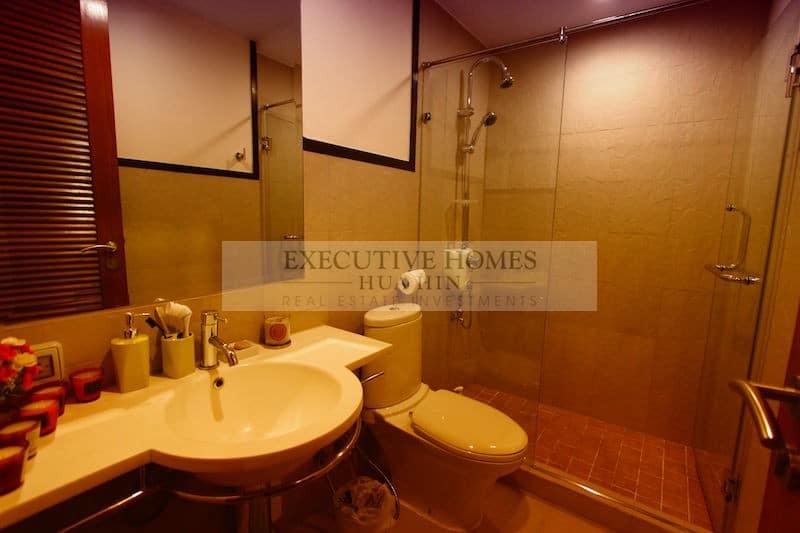 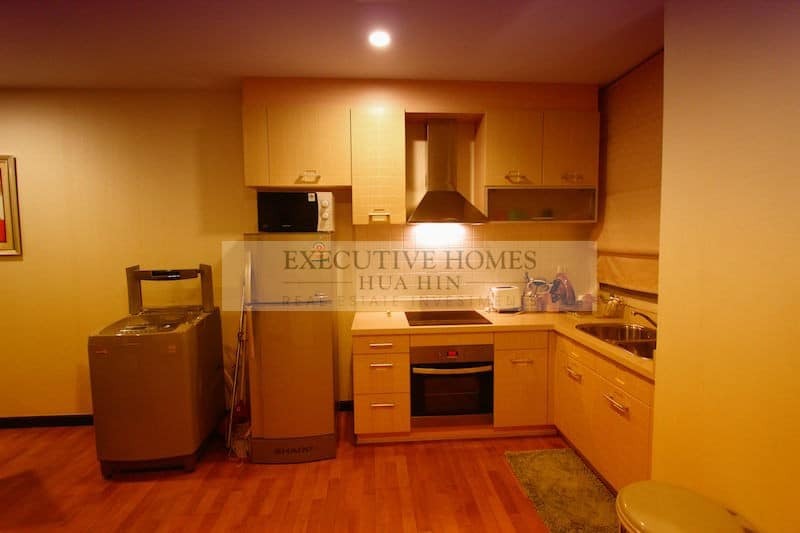 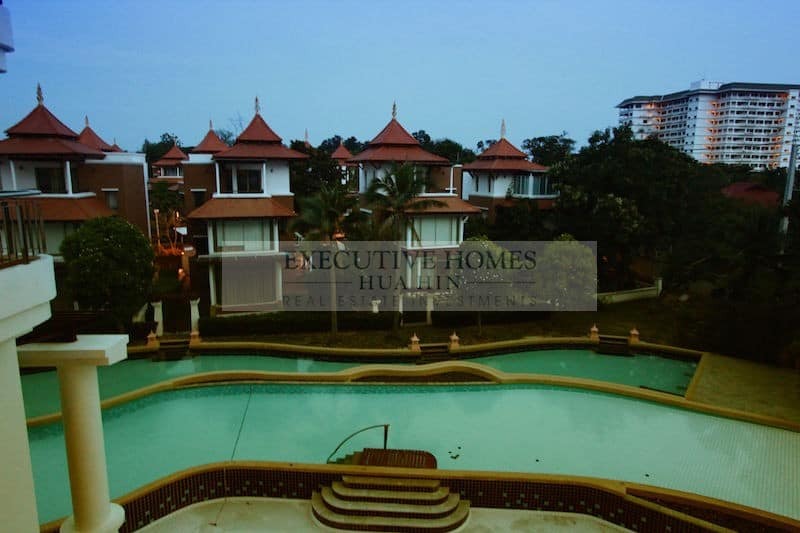 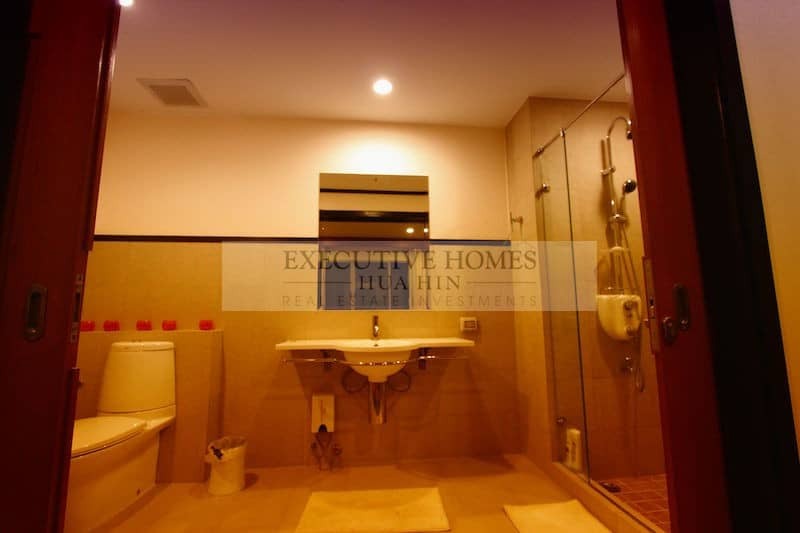 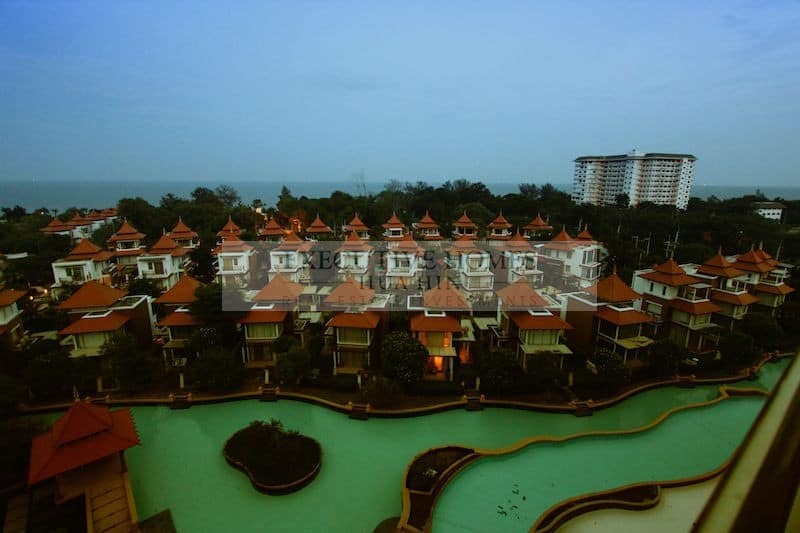 Please call Executive Homes Hua Hin to schedule a viewing of this lovely condo unit at 085-264-2158.